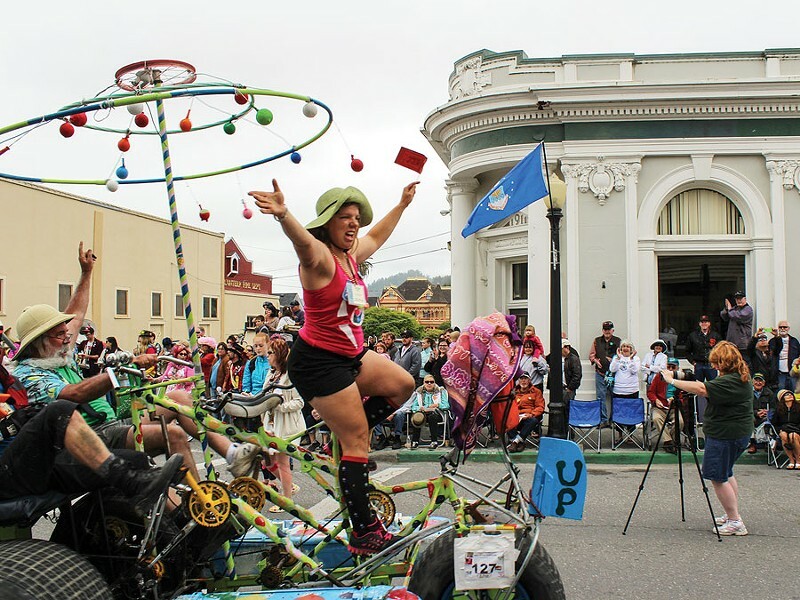 Jerri Wagner joyously crosses the finish line of the 46th annual Kinetic Grand Championship on the rolling, spinning sculpture "Up!" 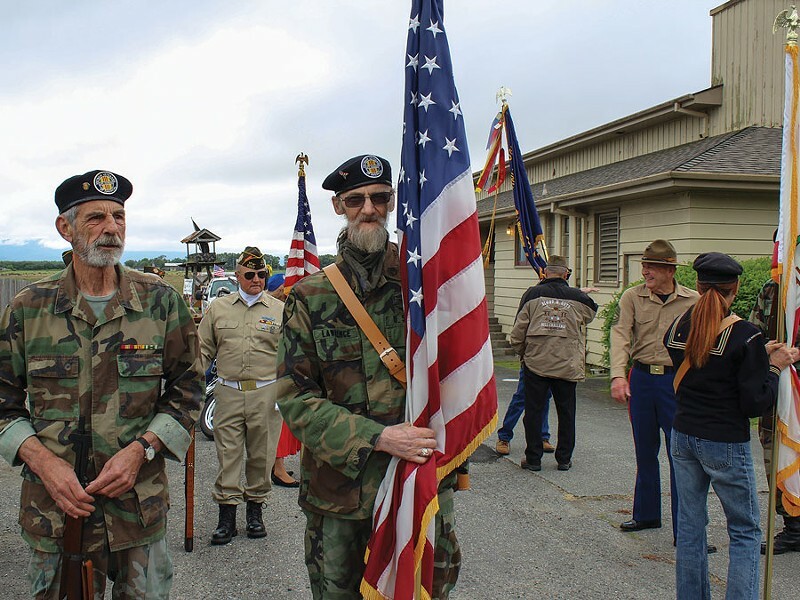 The 42-mile Memorial Day weekend trek concluded on Ferndale's Main Street on Monday, May 27. 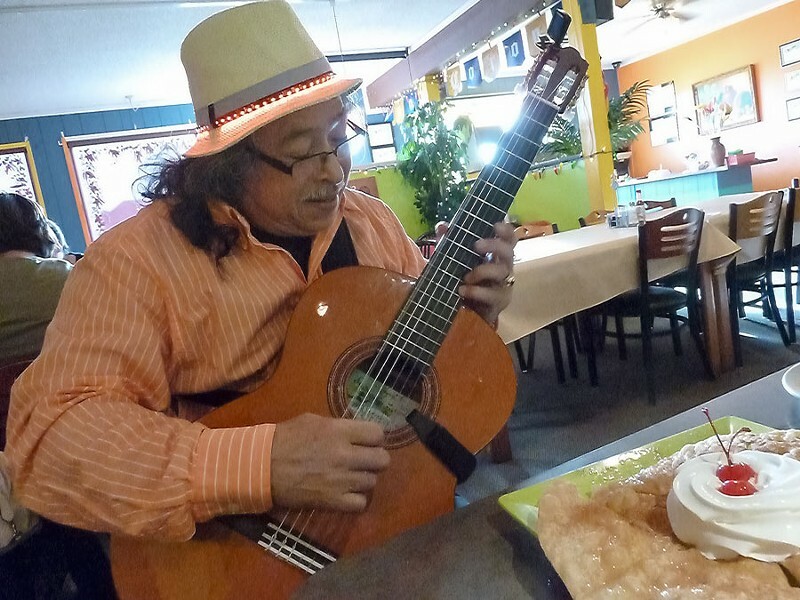 Nicaragua-born guitarist Angel Fargas plays for diners at Carmela's Mexican Restaurant in McKinleyville every Friday evening. Vietnam vet "Digital" Dan Lawrence (right) prepares to lead the honor guard in Ferndale's Memorial Day Parade.